Rug weaving in China goes back to the 2nd century AD and the Ming Emperors decorated rooms in the Forbidden City palaces with thick, coarse carpets in dramatic designs. 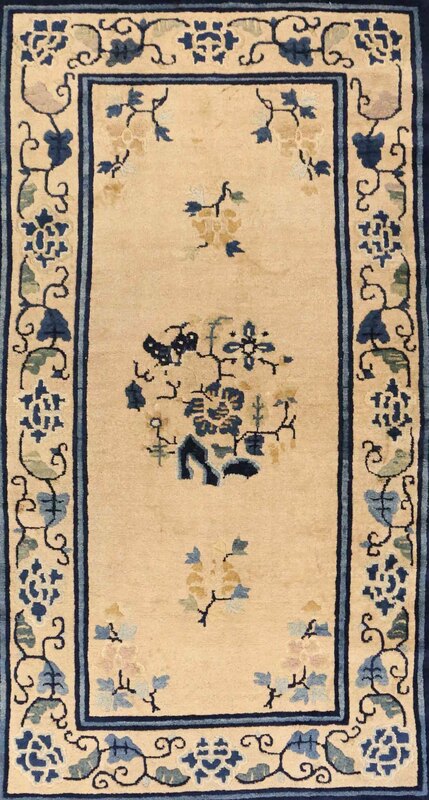 Antique Chinese rugs woven in Ningxia go back to the 17th century. 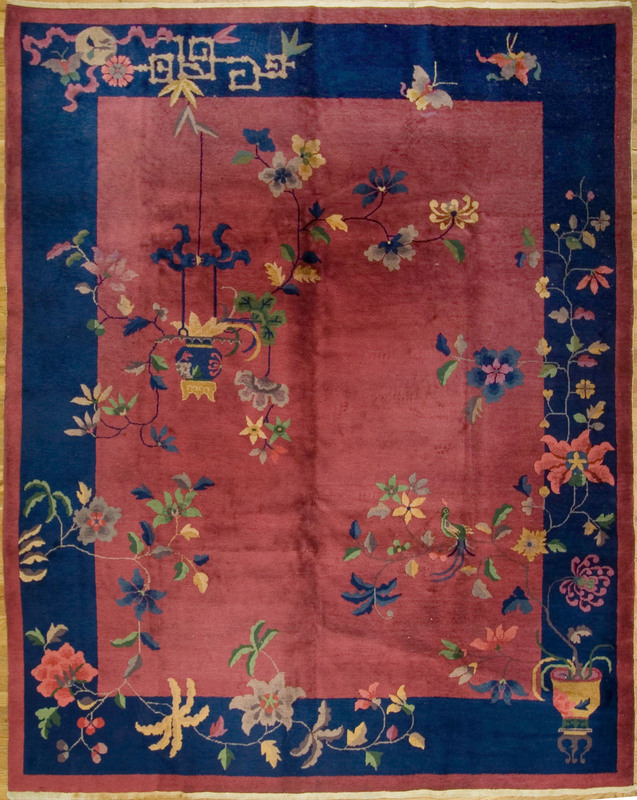 Rugs for the western market started to be produced towards the end of the 19th century. There are numerous production centers including Peking (Beijing), Ningxia, Tientsin (Tianjin), Bao Tou and various cities in Xinjiang Province. Weaving in Peking began around 1900 during the revival of Chinese carpet manufacturing when the other weaving areas such as Ningxia moved to the capital. 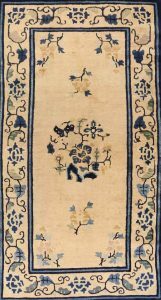 Peking rugs are normally minimalist with a narrow color palette and designs motivated by symbols of the Chinese heritage. 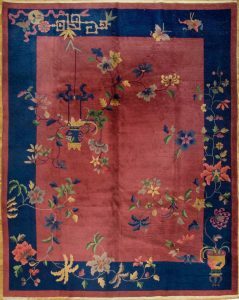 The Nichols Company was active in Tientsin (Tianjin) in the interwar period (1920-1940) and produced the thick pile rugs, very firmly woven, totally original Art Deco rugs so familiar today. The wool was top quality and the rug designs were totally modern with only minimal Chinese elements All rugs were woven for export, mostly to America. 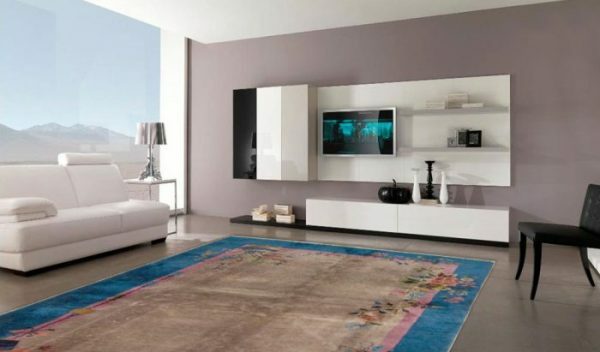 Interior decorators today prize Nichols rugs for their unusual, surprising and vibrant color schemes, one-of-a-kind patterns, and their contemporary feel and style.